All of our remanufactured Canon ink cartridges and toner have gone through multiple print tests, and the shell’s integrity has been confirmed by certified quality control experts granting customers an industry standard high page yield, two-year shelf life, and dynamic printing results. Our cheap Canon ink cartridge prices save customers that print at home an average of £525 a year, while mid-size businesses save an average of £2100 a year on printer ink and toner expenses. Everyone has a budget, and by taking advantage of our cheap Canon ink cartridges price tag, you can save a significant amount of money! For more information on our Canon printer ink replacements please scroll past the products below to read on. Already on board to give us a shot and experience the high quality and savings that our cheap Canon inkjet prices offer? We have a simple, one-page check-out system that makes online orders a snap. You can also call our customer service team and let us help you find the best deal on Canon ink cartridges—high quality replacement printer ink that comes in a single solution or in various combo packs to meet your printing needs! For the most part this is a relative question, and it can even me interpreted in multiple ways; when it comes to finding cheap Canon printer ink prices, the big box stores seldom have sales, and if they do the savings are mere chicken scratch. You can purchase remanufactured Canon ink cartridges for a cheap price from inkjetsclub.co.uk, and feel confident about your purchase because most customers save over 60 percent and, thanks to our full one-year warranty, our high quality promise is one you can trust! If you are looking for cheaply made ink cartridges, you won’t find them here! All of our cheap Canon inkjet cartridges are defined as “cheap” only by price. Beware of cheap Canon ink cartridges that are poorly made and sold by non-reputable companies! Our printer ink shells are of the highest quality designed to work specifically with your printer, and all internal components such as the sponge and chip are replaced with brand new ones to offer a seamless beautiful print each time. 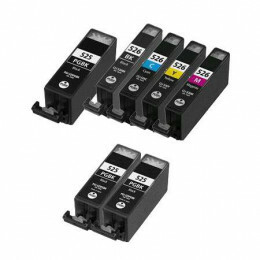 inkjetsclub.co.uk is the best option for buying remanufactured Canon ink cartridges at cheap prices, and when you buy a combo pack you save even more. 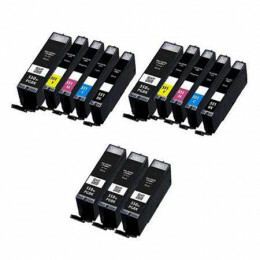 For example, our replacement 1Canon PGI 550 and CLI 551 High Yield 10 Compatible Ink Cartridges Multipack contain 2 Pigment Black, 2 Black, 1 Cyan, 1 Magenta, 1 Yellow—all high yield cartridges that save buyers almost 70 percent off the OEM price. Combo packs like this one salvage customers the most money because we further adduce the savings. Also, because these inkjets have a two-year shelf-life, you will never run out of ink midway through a print job and be left stranded when you order this little army of inkjets. For these reasons inkjetsclub.co.uk is the best place to buy ink for cheap Canon printers like various Pixma models suitable for college dorms, as well as for the robust Canon ImageClass printers that subsist as the workhorse in your office space! 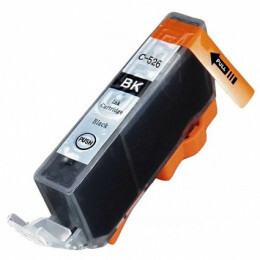 As is the same case with our inkjets, the only thing “cheap” about our Canon toner cartridge replacements is the price. Canon is known on an international scale for making toner cartridges that are of exceptional high quality, and our inkjetsclub.co.uk engineers spent years getting our replacements just right. Canon started using organic solvent-based paints and cleaning agents for external components in their printers to reduce VOCs into our atmosphere. This meant the toner also had to be designed to work in harmony with this technology, while still producing striking, bright images and text that beams right off the page. We run all of our remanufactured Canon toner cartridges through multiple inspections and print tests to ensure the laser toner is perfectly balanced and built to the highest standards. Customers benefit from their phenomenal performance, and our cheap Canon toner prices make buying from inkjetsclub.co.uk a true no-brainer! 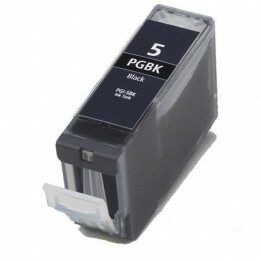 A perfect example of our cheap prices for Canon toner can be seen in one of our most popular items: the replacement 2 Multipack Canon HPC4096A High Quality Remanufactured Laser Toners by inkjetsclub.co.uk saves customers almost a whopping 80 percent off the OEM price found at the big office supply stores! You even save about the same amount when you buy a single toner for Canon ImageClass printers! Our customers recover roughly £176 from EACH cartridge making inkjetsclub.co.uk the ultimate destination for cheap Canon toner prices on the highest quality remanufactured cartridges for Canon printers! Call our customer support team, and let us help you determine the option that will save you the most money!